Save time with these tasty, family-friendly recipes. The combination of lemon and fresh mint makes for a light and delectable dish that’s versatile and easy to cook by laying it on the grill or searing it on a skillet. As part of our Cook Once, Eat Twice collection, this recipe is great for tonight and then tomorrow make Chicken and Feta Grain Bowl with the leftovers. 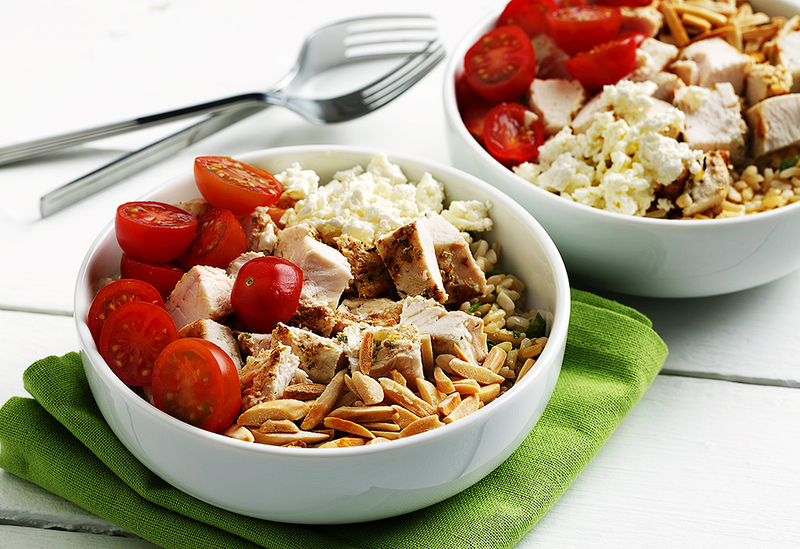 Juicy chopped lemon chicken laid on top of a bed of brown rice flavored with feta and tomato make for a perfect lunch meal. 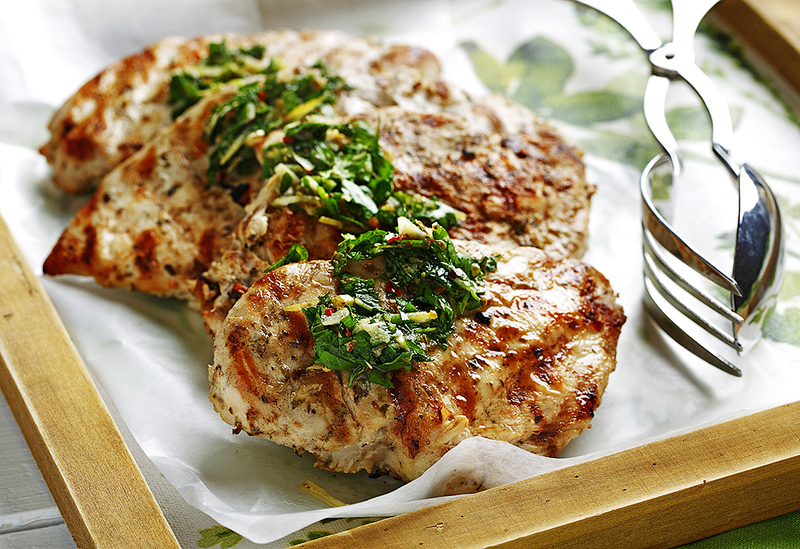 As a part of our Cook Once, Eat Twice collection, the base for this dish is our Mint-Parsley Lemon Chicken. 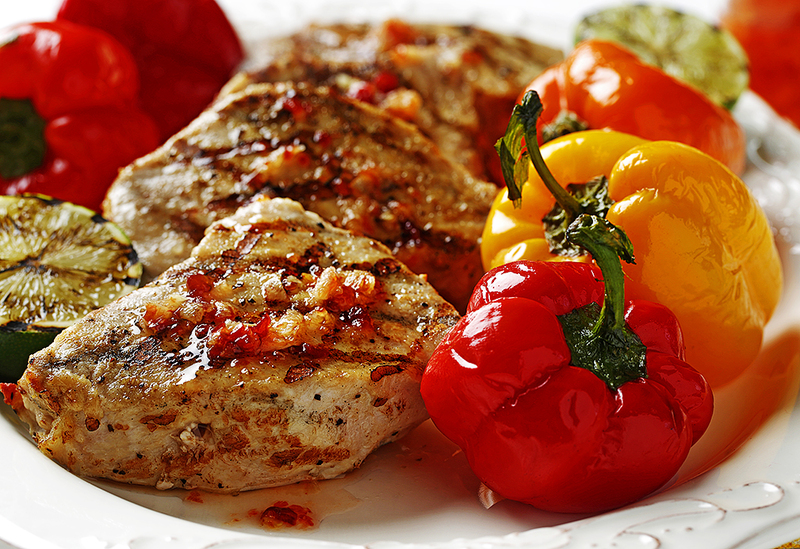 Fire up the grill and enjoy the sweet, spicy and succulent flavor these pork chops have to offer. As part of our Cook Once, Eat Twice collection, this dish can transform into Pork Long Leaf Lettuce Wraps tomorrow for lunch. 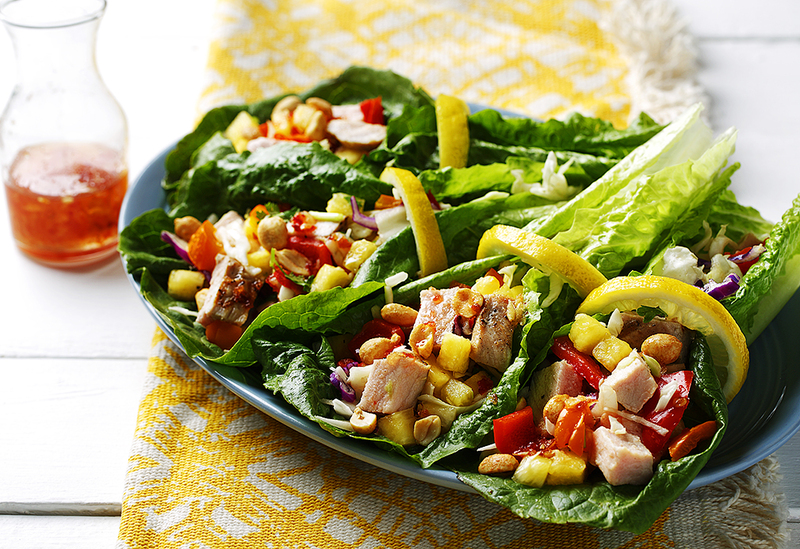 This crisp and refreshing dish packs together the perfect mix of crunch, spice and sweetness in a wrap with diced pork, juicy pineapple chunks and dry roasted peanuts. As a part of our Cook Once, Eat Twice collection, this dish is repurposed from our Pork & Petite Peppers with Fresh Ginger Hot Sauce recipe. 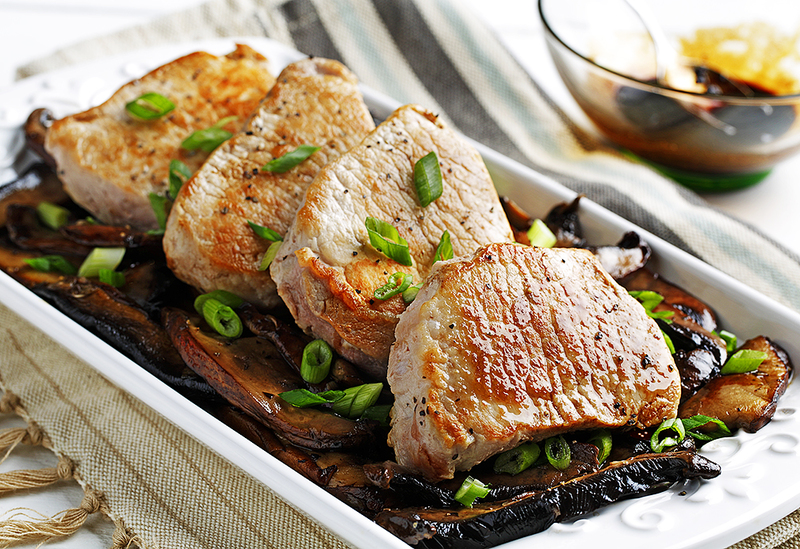 Portobello mushrooms cooked with a sweet balsamic glaze make a delicious pairing with tender and juicy roasted pork loin. As part of our Cook Once, Eat Twice collection, the leftovers can be given new life as Pressed Pepperoncini-Pork Sandwiches the next day. 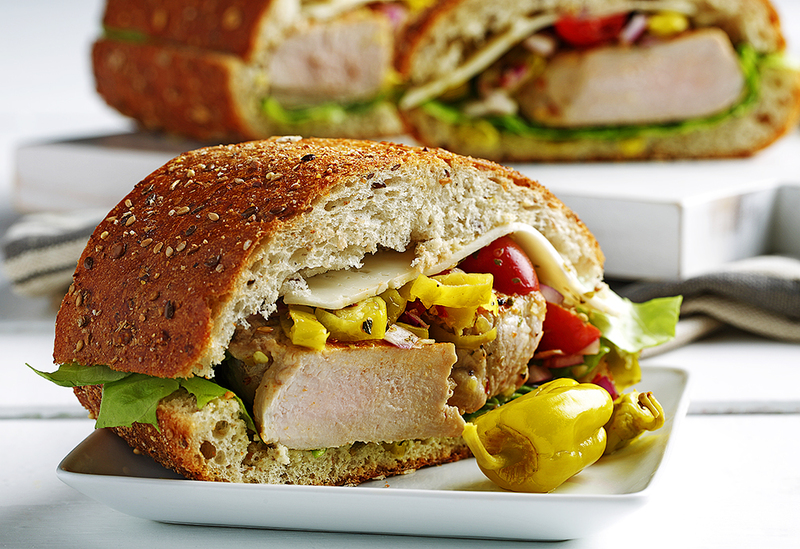 Hearty French bread combined with pork loin chops, pepperoncini, tomato, red onion, garlic and cider vinegar make this the ultimate Italian style sandwich. A part of our Cook Once, Eat Twice collection, this delectable lunch starts with our Pork Loin Chops with Sweet Balsamic Mushrooms. 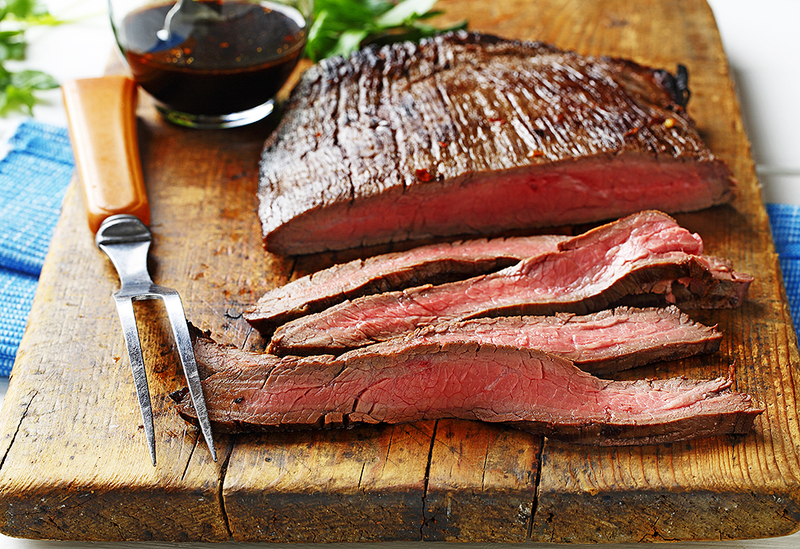 The mixture of soy sauce, balsamic vinegar and lime juice create a perfect marinade for lean, quick cooking flank steak recipe. As part of our Cook Once, Eat Twice collection, this entrée is perfect for tonight and can be transformed into Citrus Beef on Zucchini Ribbons. 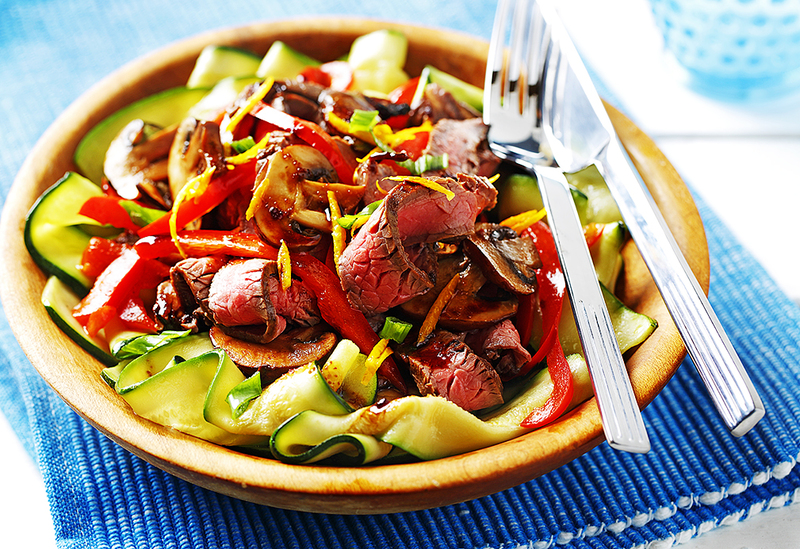 Slow roasted beef that’s been marinated in a sweet and savory soy-lime sauce makes a worthy topping for a bed of seared zucchini, mushrooms and red pepper. As part of our Cook Once, Eat Twice collection, start by making Flank Steak with Soy-Lime Reduction and then make this recipe the next day.